For the experience of a lifetime, one that will touch your heart and lift your soul, join the Breslov Research Institute/BRI Women 3rd women’s trip to Uman. This tour isn’t just a getaway but a life-changing journey of the soul designed for women like you who want to tap into the joy of spiritual adventure. Rebbe Nachman’s gravesite and Uman have become a year-round magnet for visitors. Their popularity is based on a unique promise that the Rebbe made before he passed away. Rebbe Nachman leads us to believe that Gehinnom (hell) refers to suffering in this lifetime, too. No one before or since has ever made such a promise. As a result, it’s well worth the effort to travel to Rebbe Nachman’s grave in Uman. During the Communist era from 1917 to 1989, travel to Uman was restricted and anyone who was caught there risked being deported to Siberia—or worse. But come they did, and they kept coming—from Israel, England and America where new Breslover communities were founded after the Holocaust. More and more people pounded on the gates until finally the Iron Curtain crumbled and the way was opened for all. 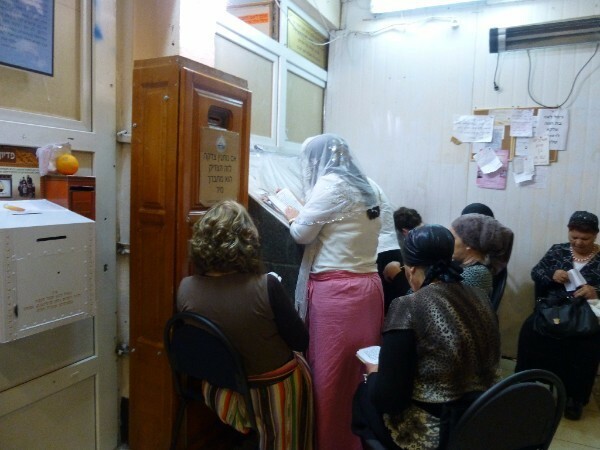 Now, hundreds of thousands of men and women have travelled to Uman and felt the spiritual healing and blessing that occurs when praying Rebbe Nachman’s gravsite. It’s never been easier to travel to Uman and reap the benefits of connecting to the Tzaddik. You can become one of the many who’ve shared this positive, powerful experience. Have questions? Call me at 347-471-1098 today. P.S. Are you yearning for the spiritual healing and blessings that come from traveling to the Tzaddikim? Are you ready to discover more about yourself and connect to Hashem? Do you want to travel with a group of inspiring and inspired women? Watch your video invitation now.